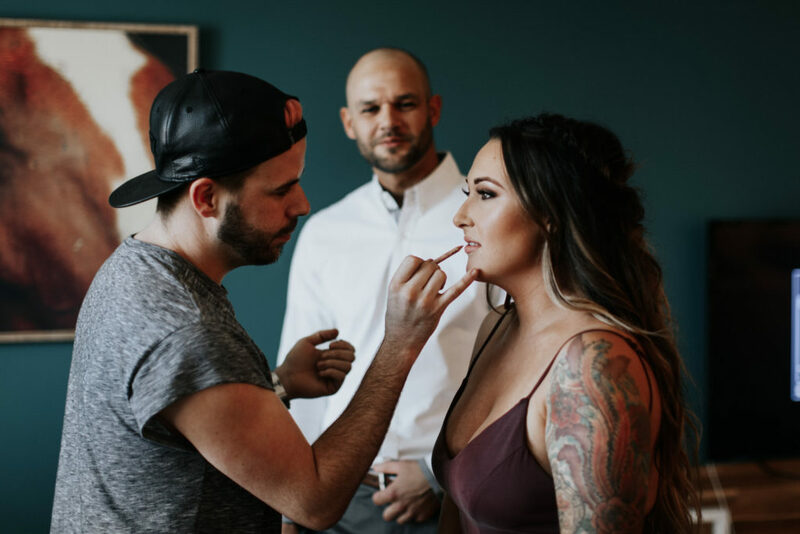 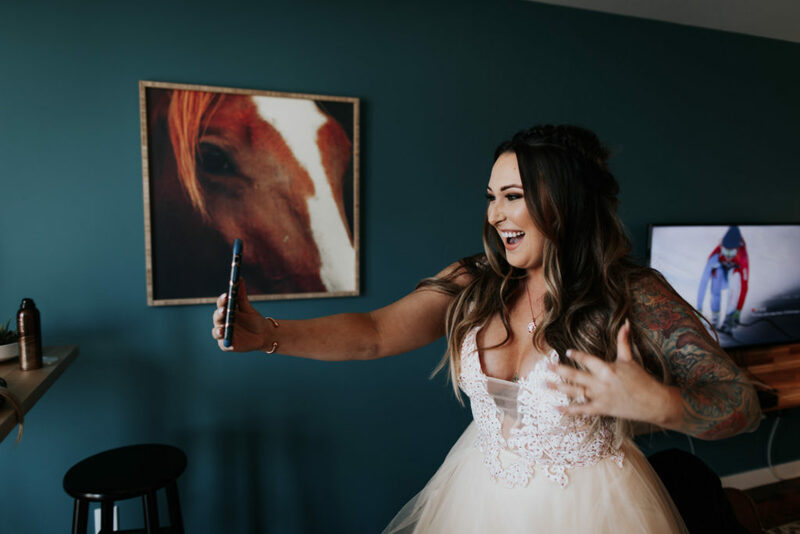 Caitlin is one of the coolest boss babes in the DC/MD/VA wedding scene, owner of Pretty Weird Beauty. 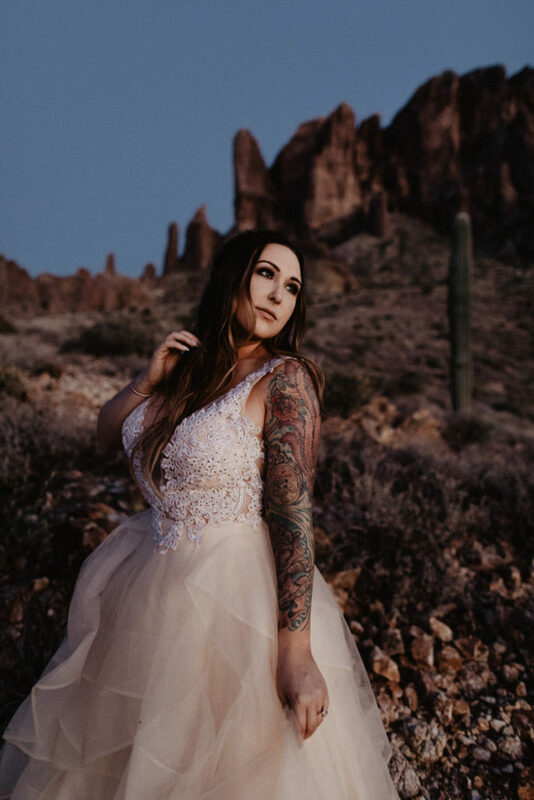 She does such amazing work for so many brides, which made me feel so honored to capture such an important moment in her and Matt’s lives.  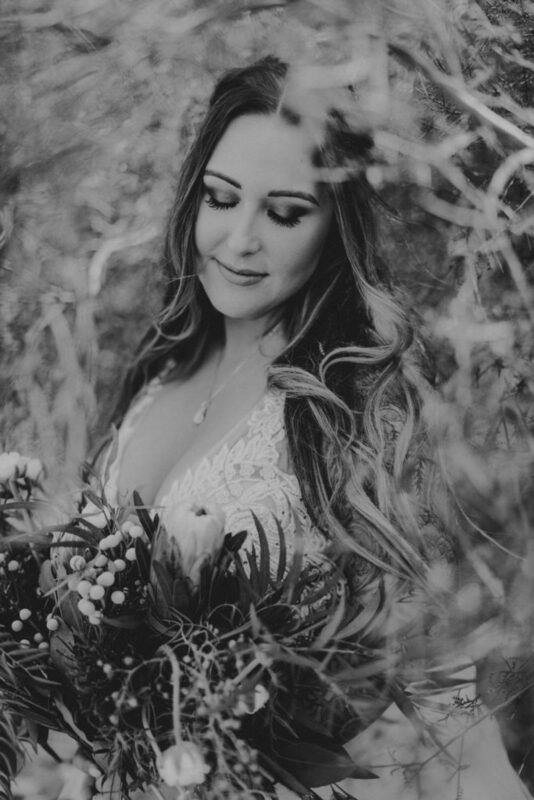 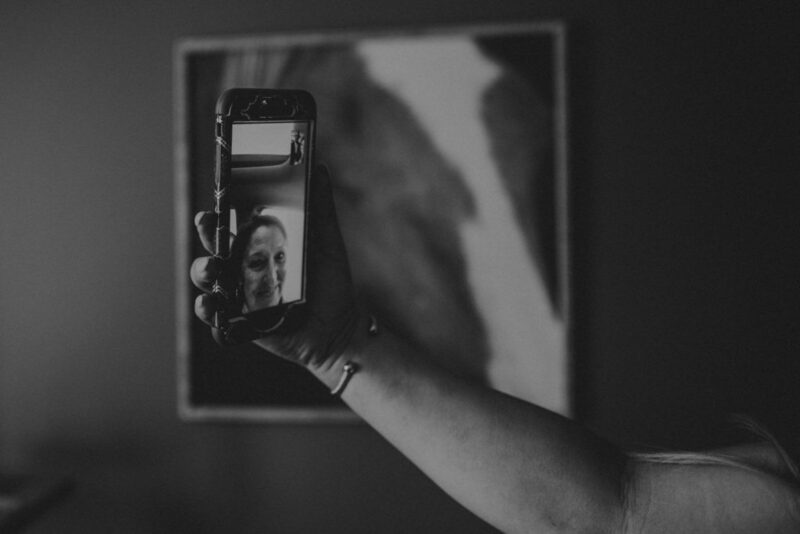 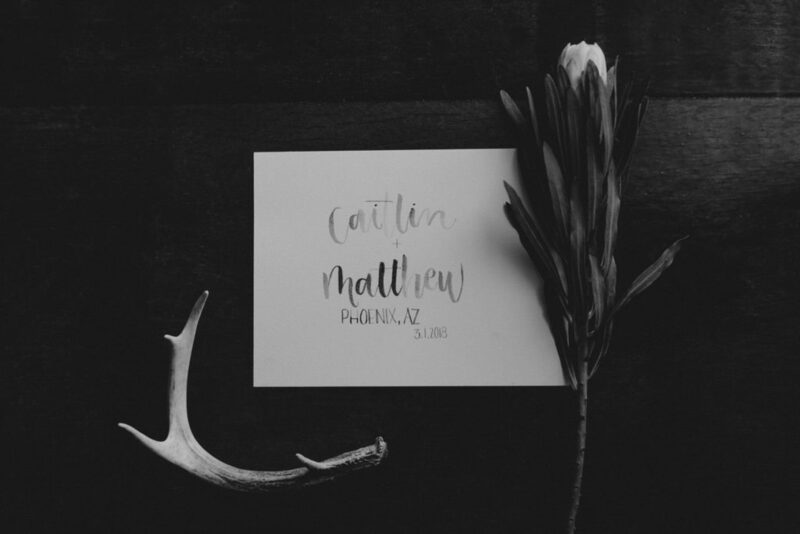 For months I admired Caitlin’s direction and bride ethic (that’s totally a thing – a clear vision and ability to execute those ideas). 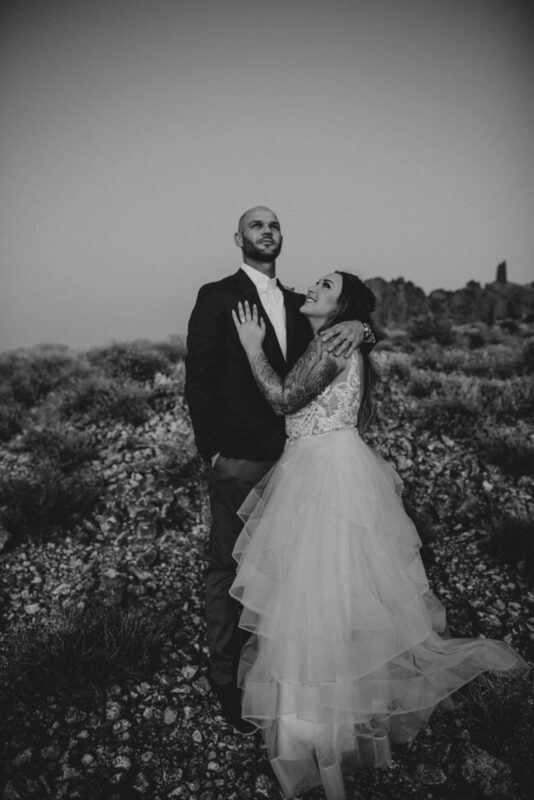 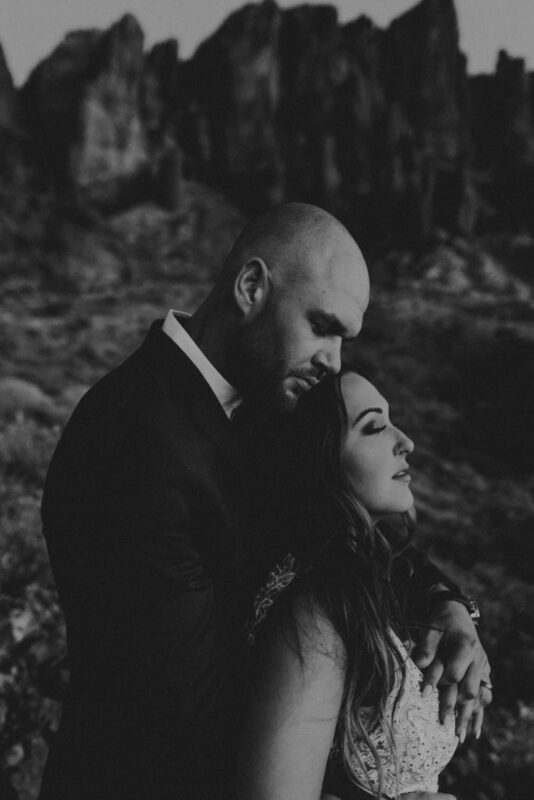 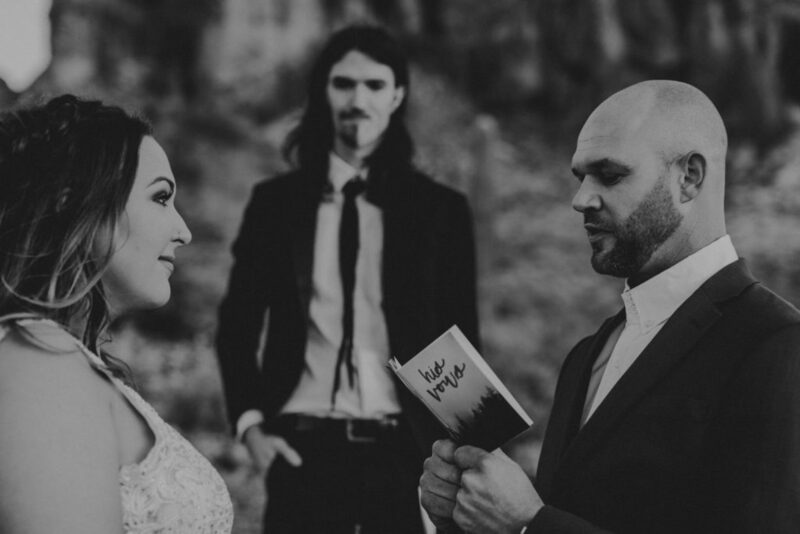 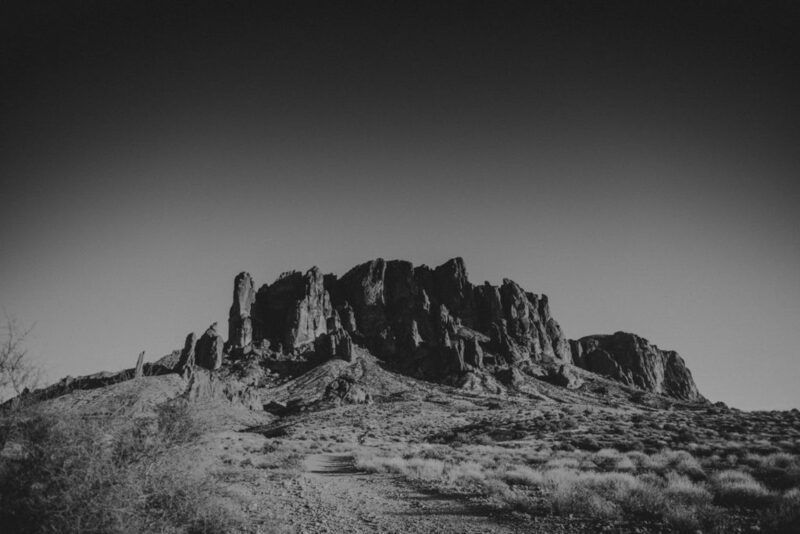 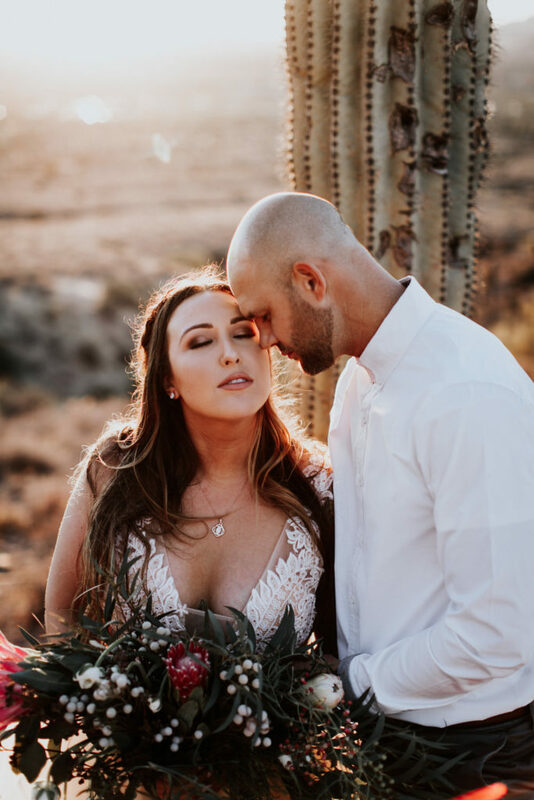 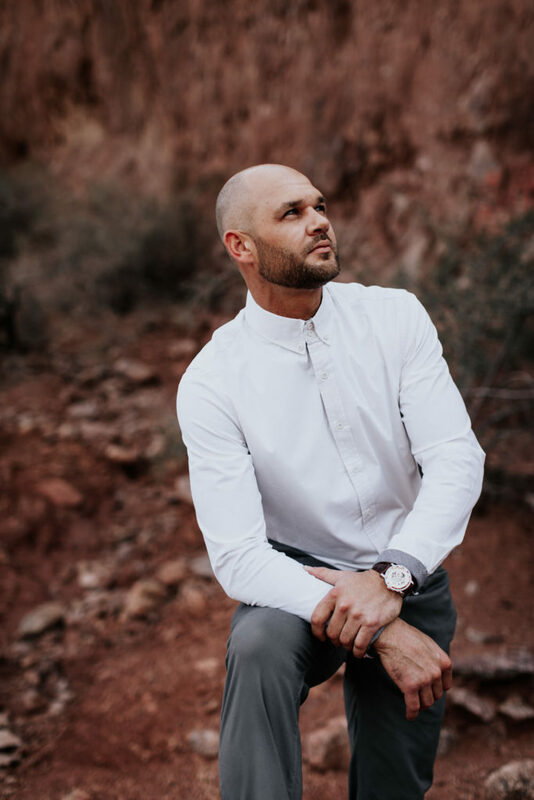 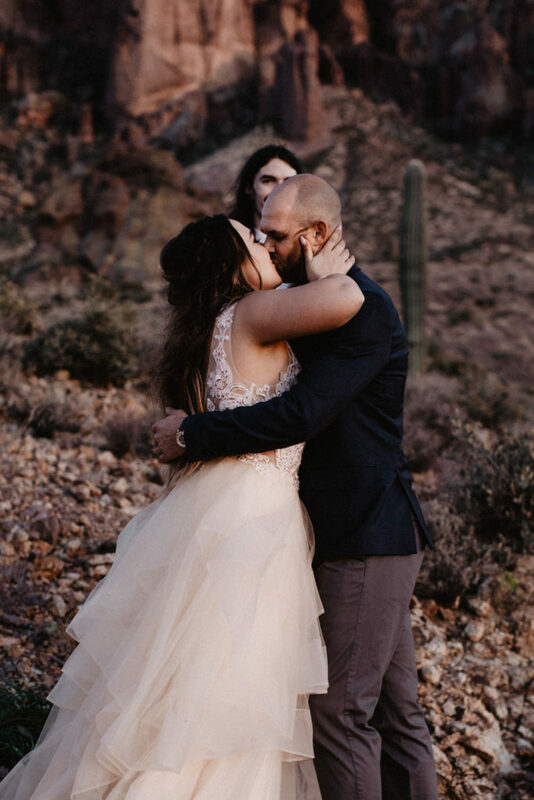 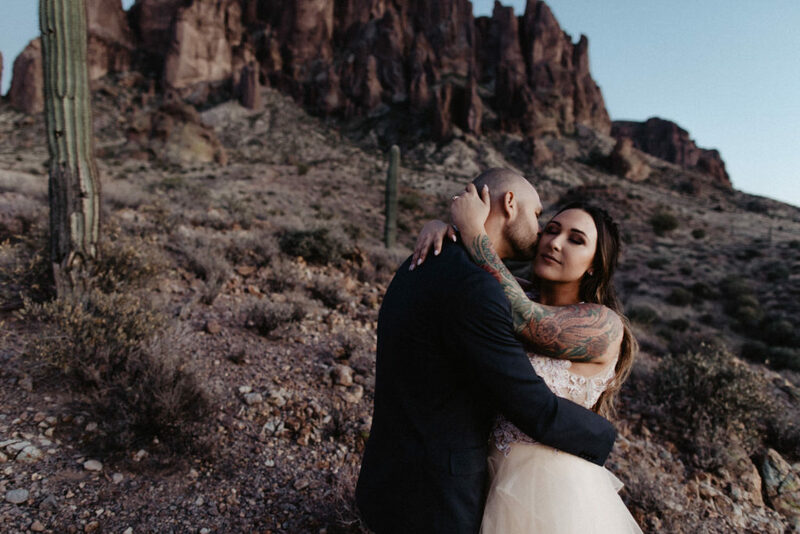 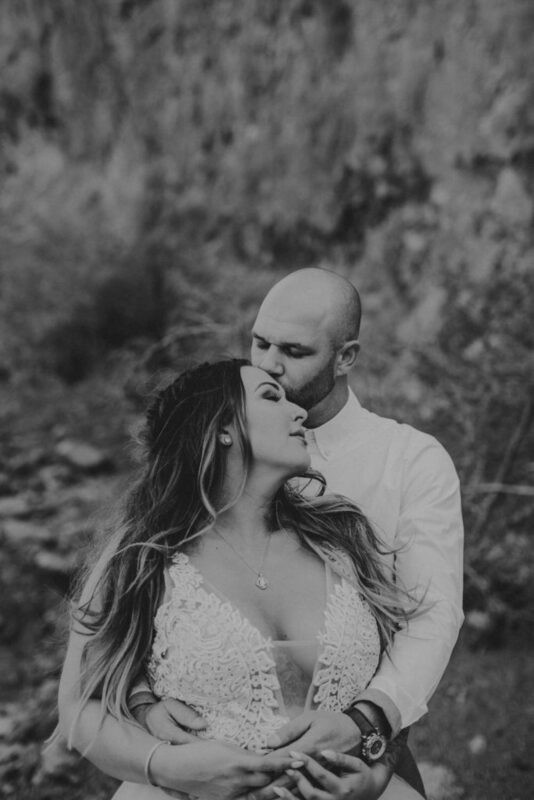 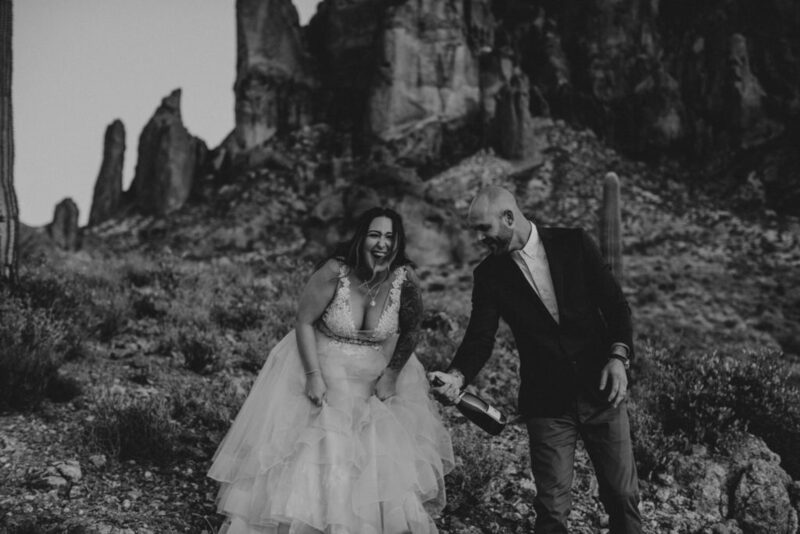 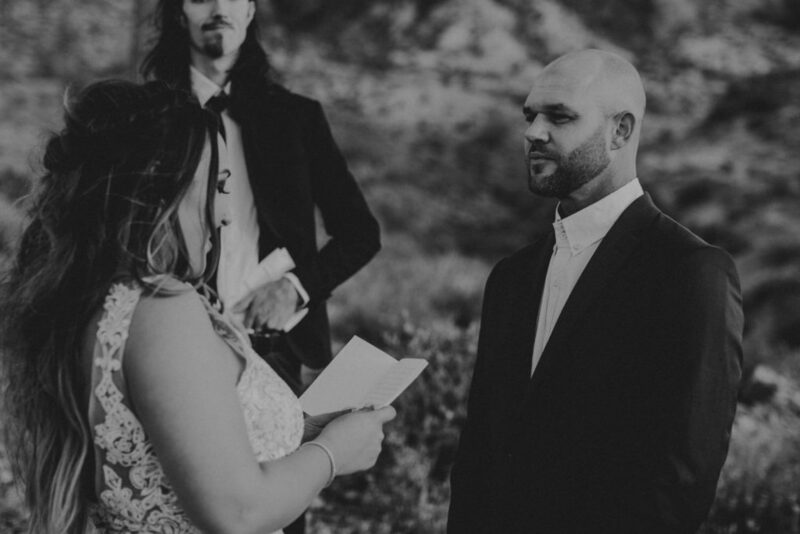 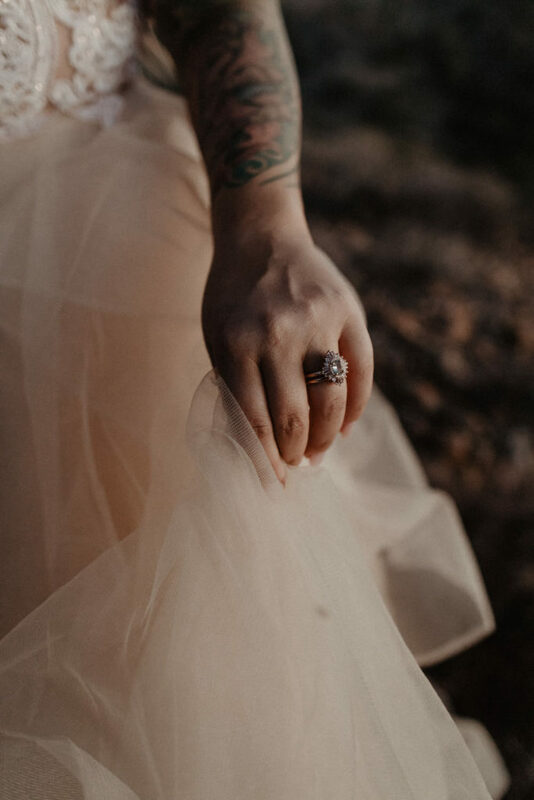 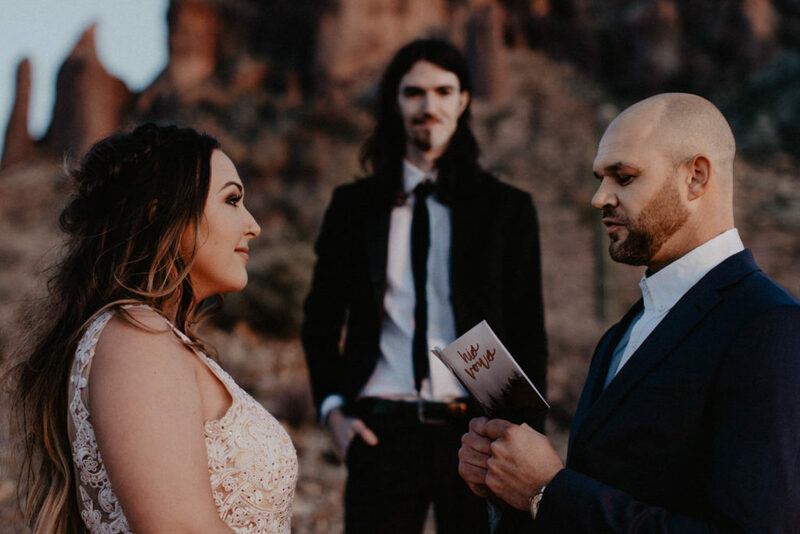 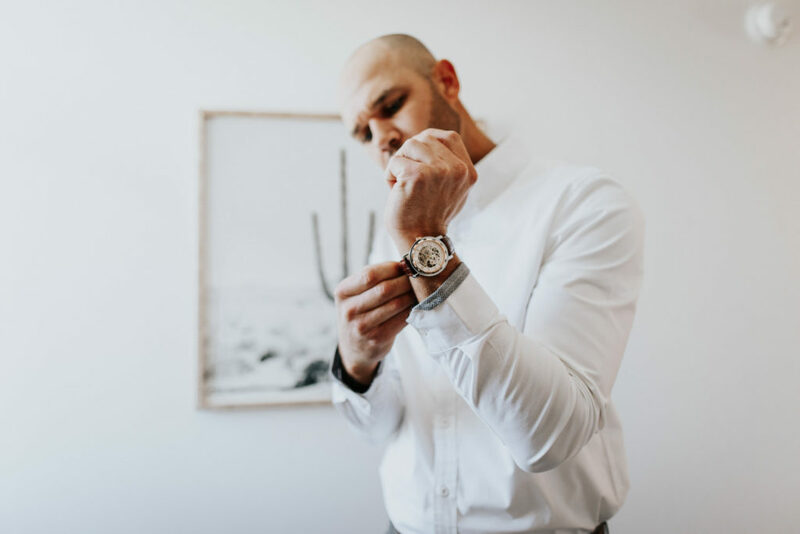 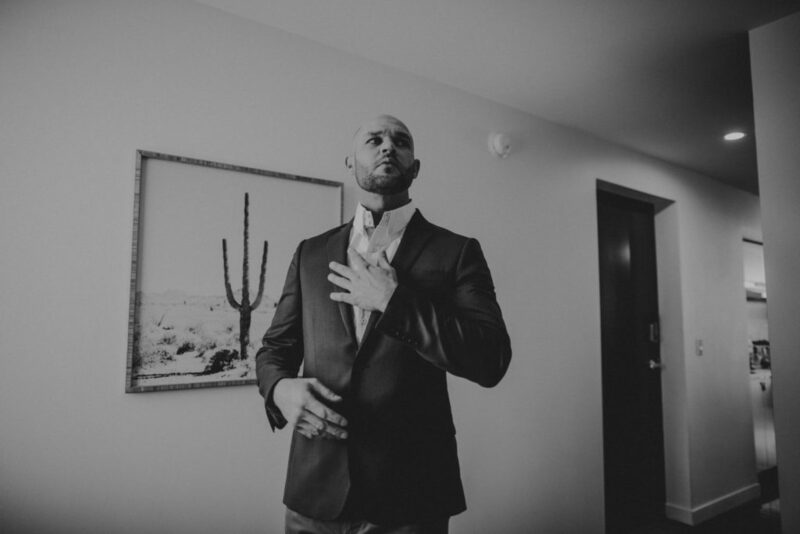 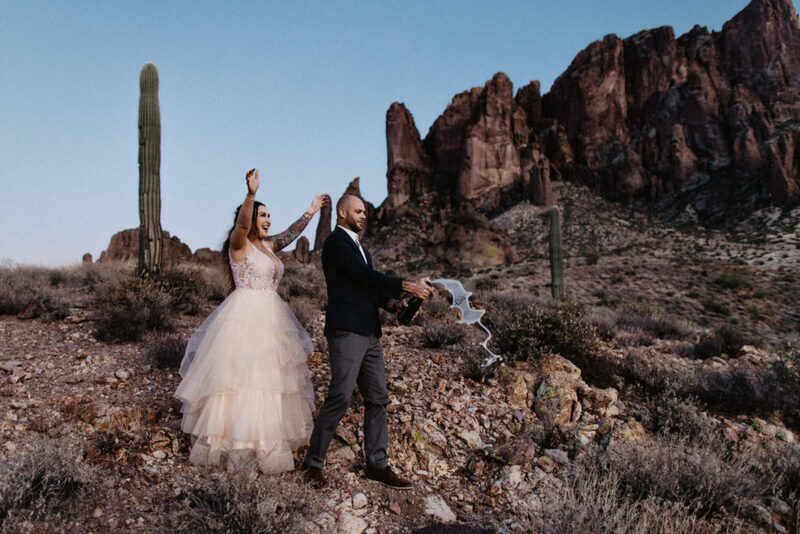 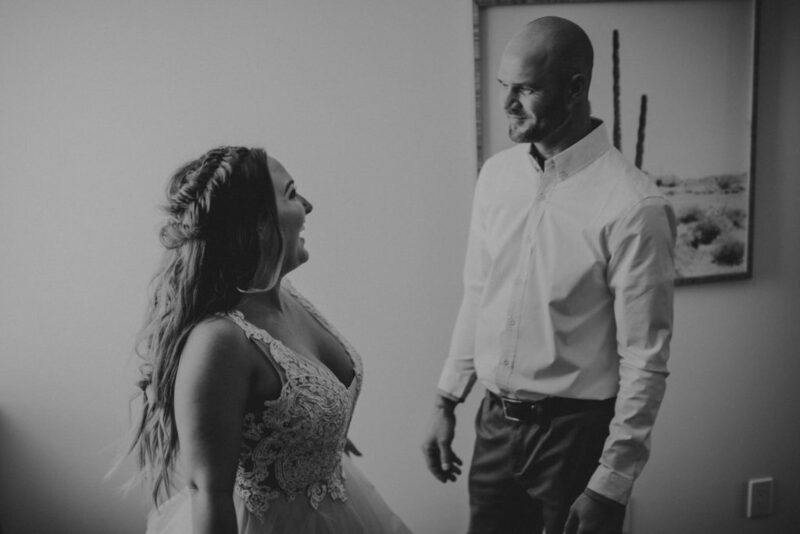 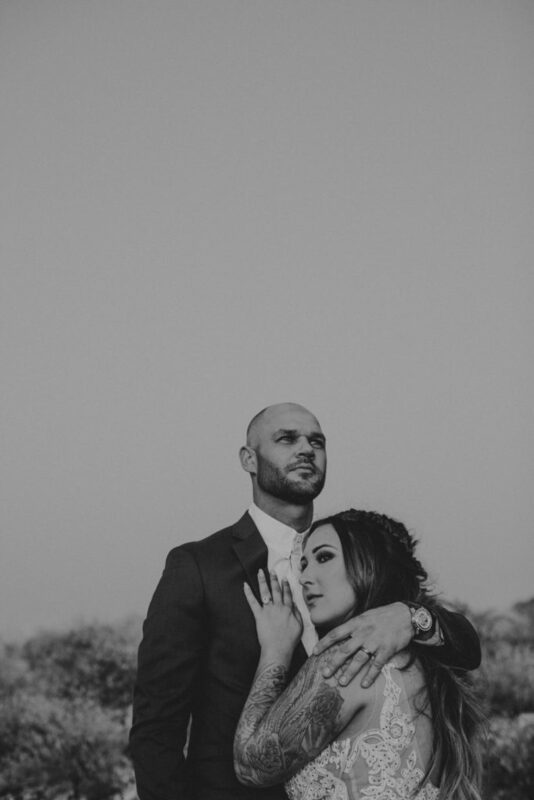 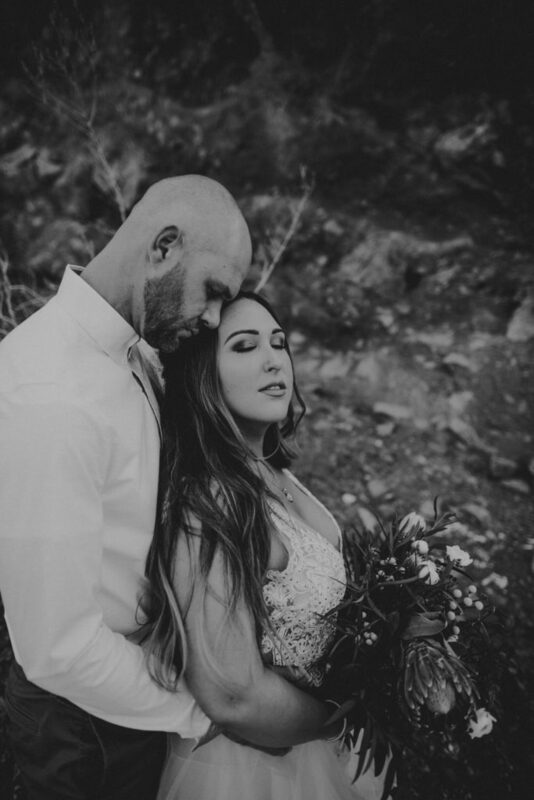 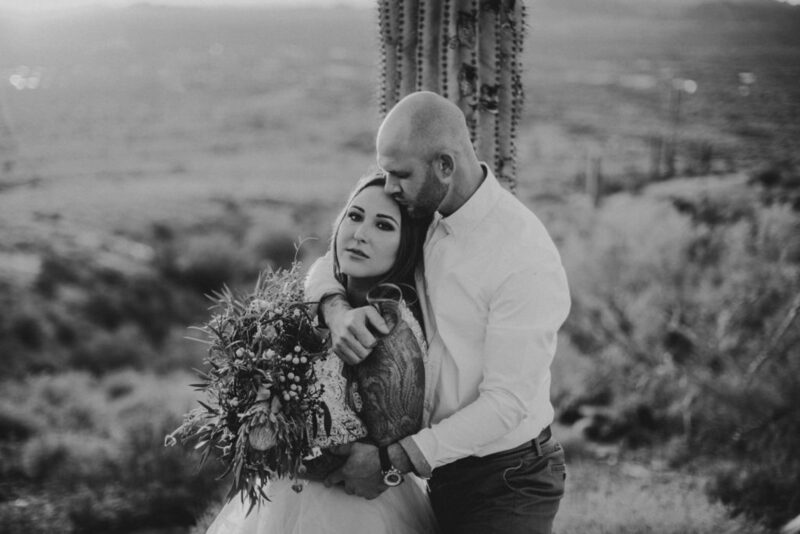 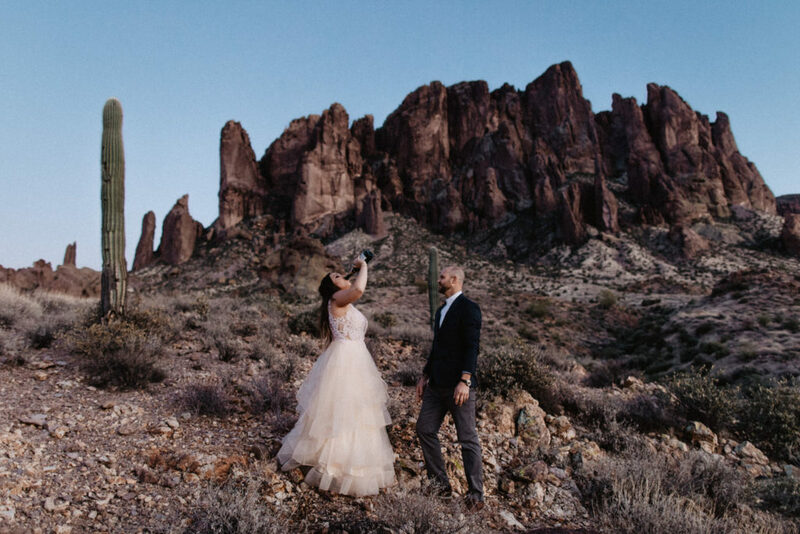 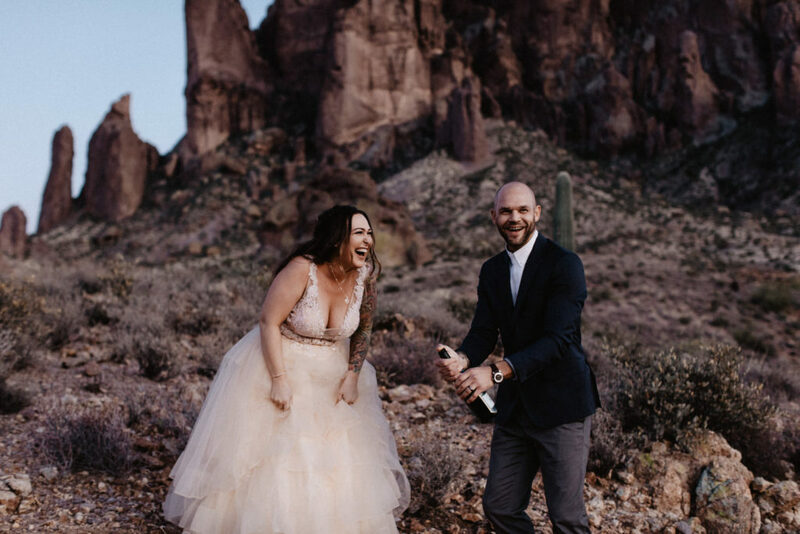 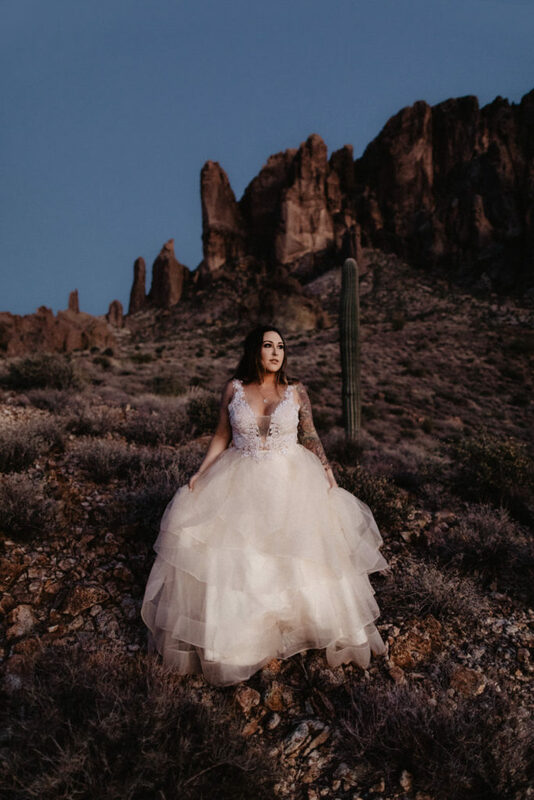 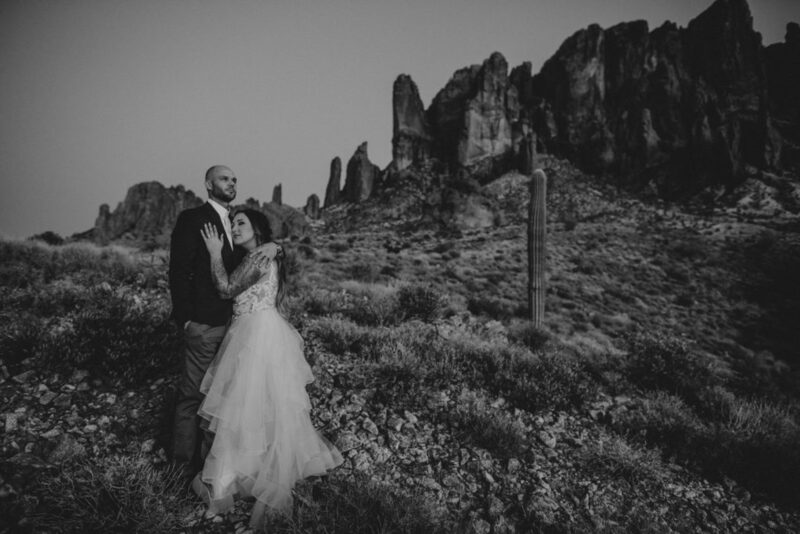 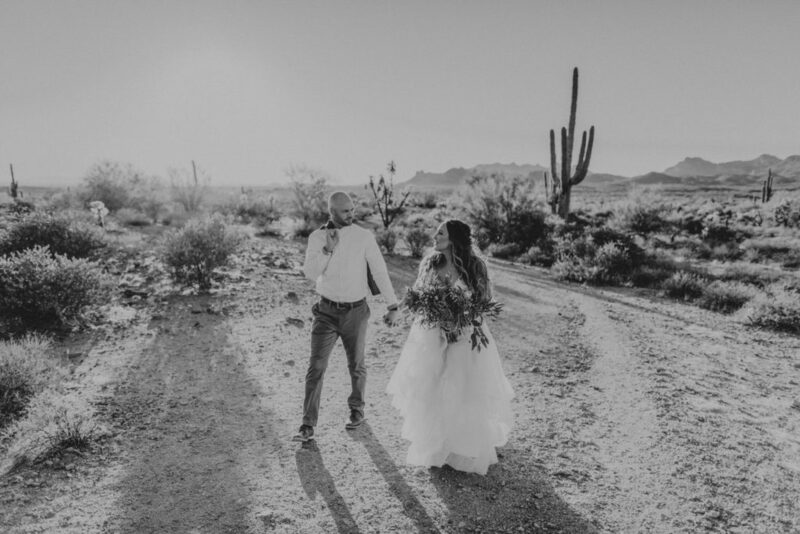 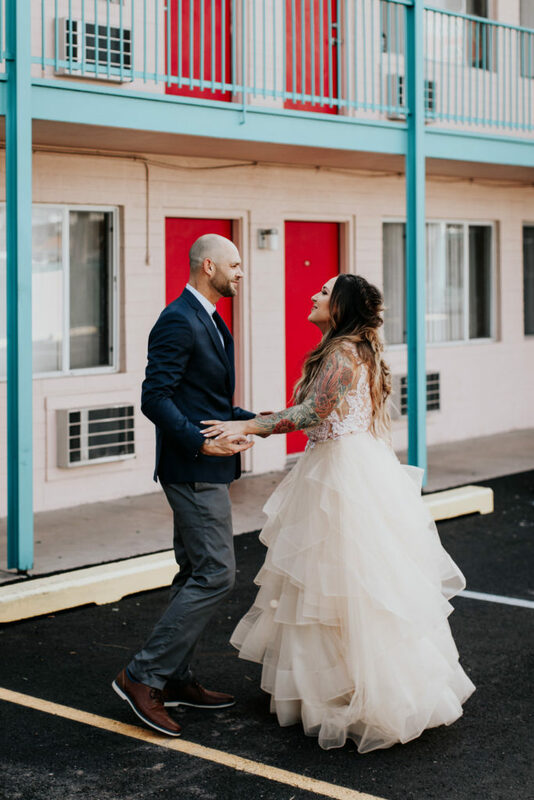 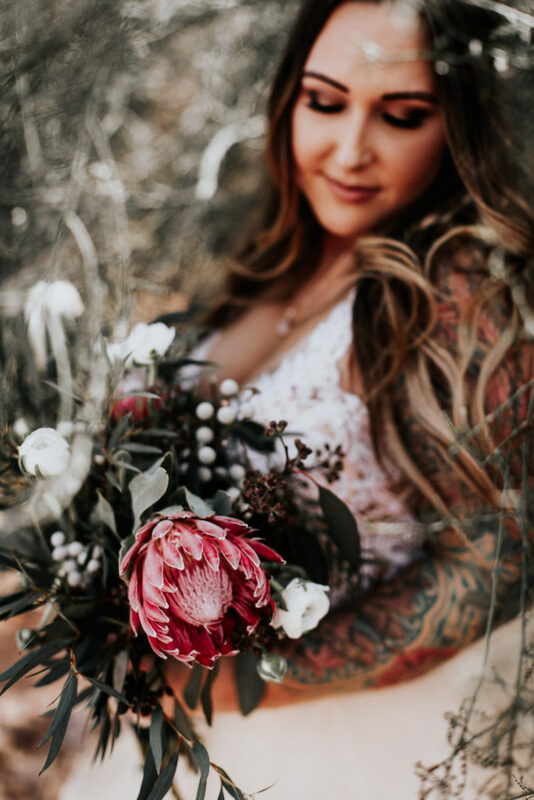 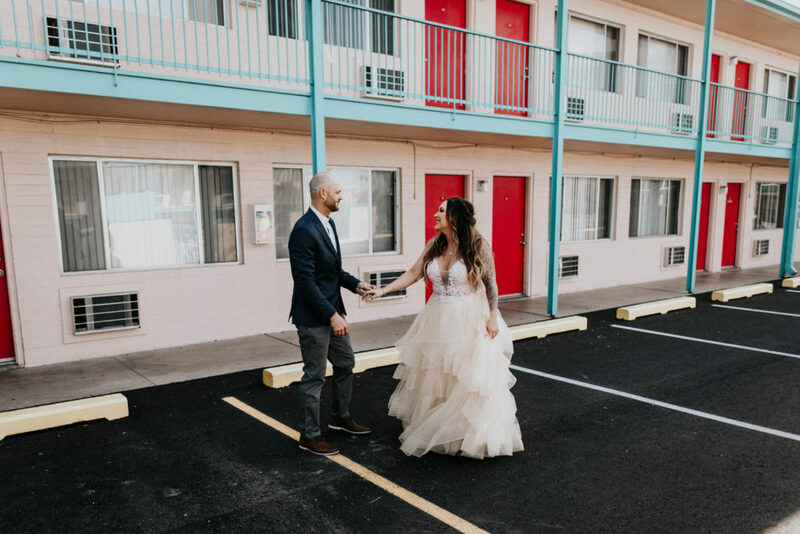 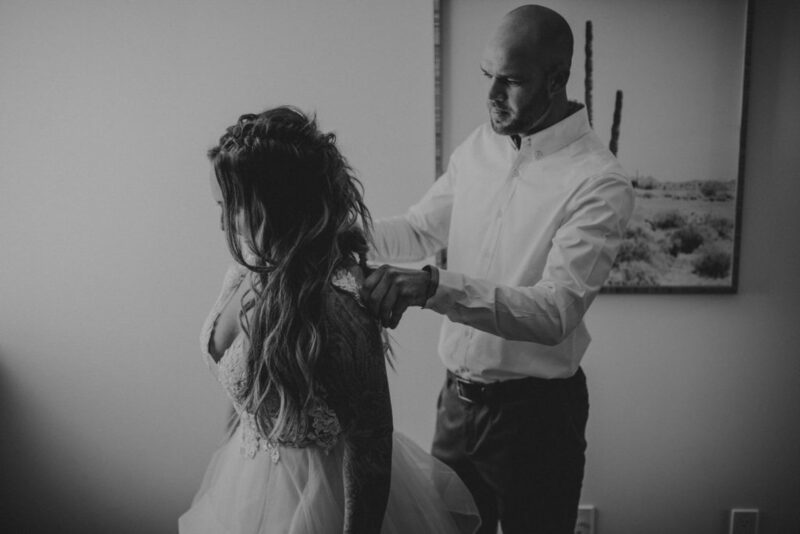 Caitlin and Matt’s desert elopement was one of the easiest and yet most rewarding experiences of my life and it’s all thanks to their planning and attention to detail! 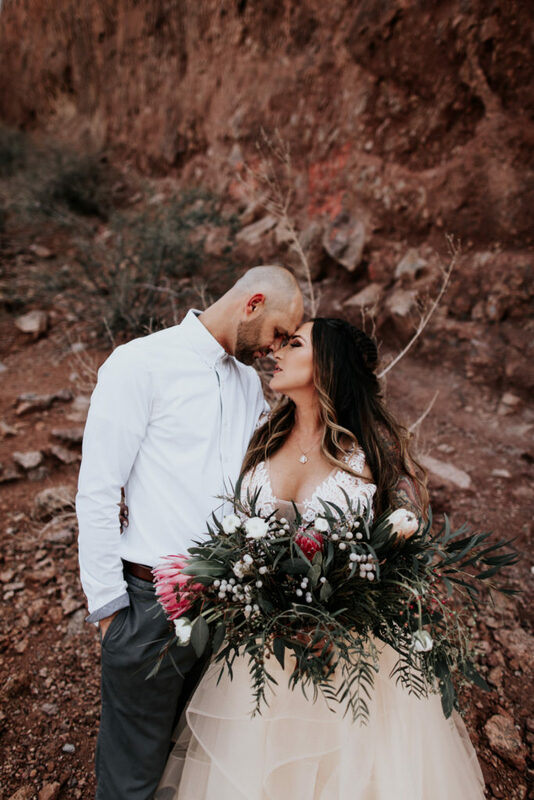 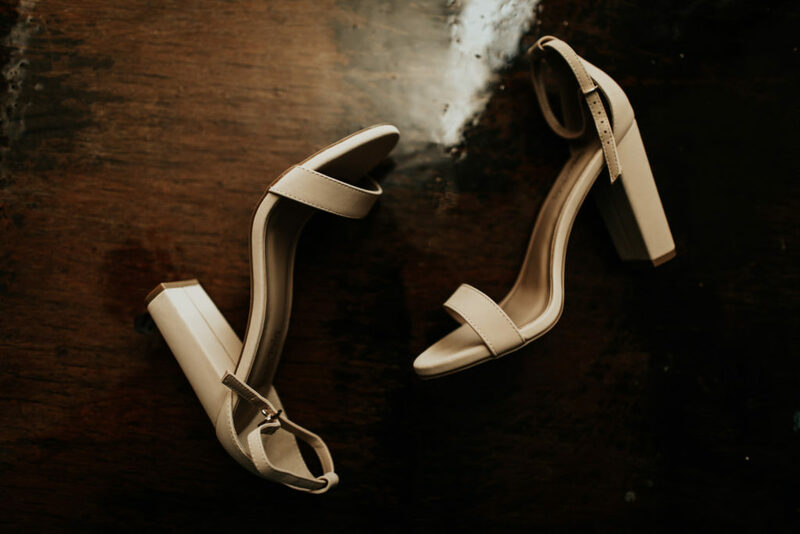 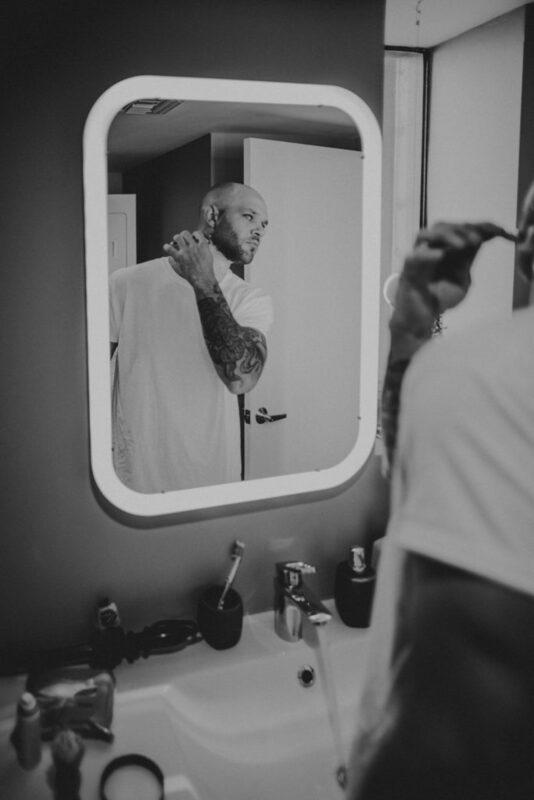 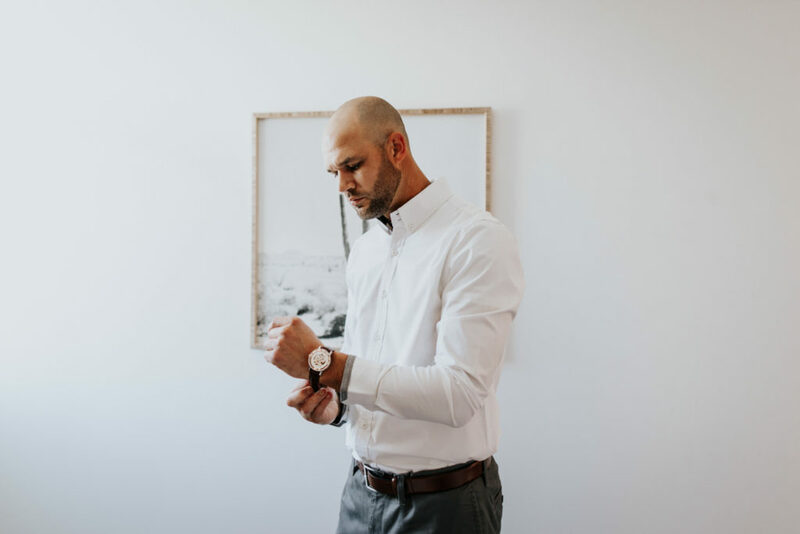 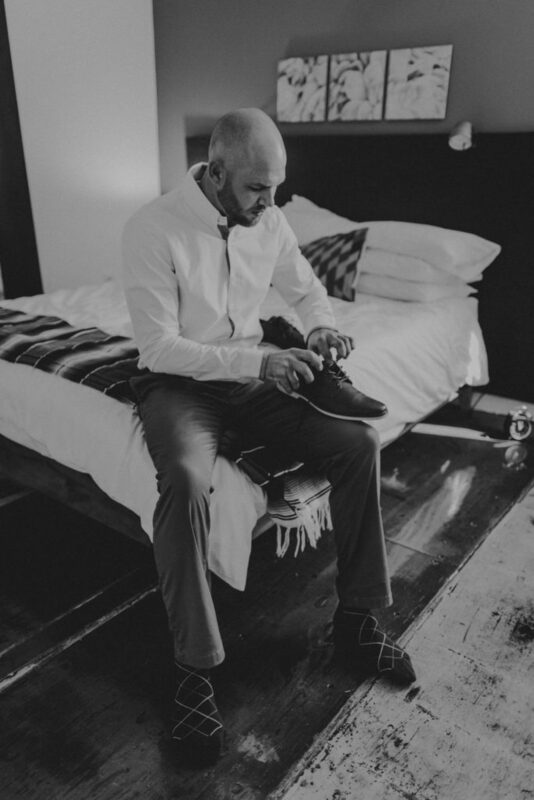 Something I like to tell a lot of my couples which comes to mind right now, a vibe of effortlessness on your big day actually takes a lot of organization! 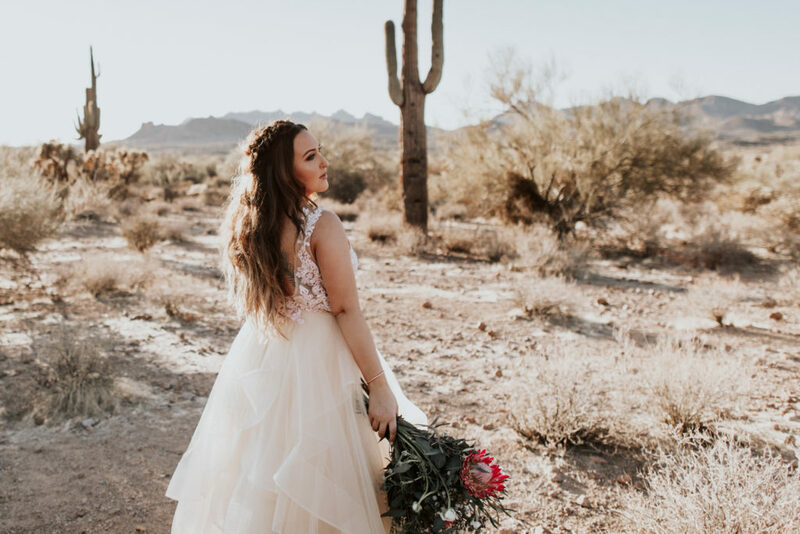 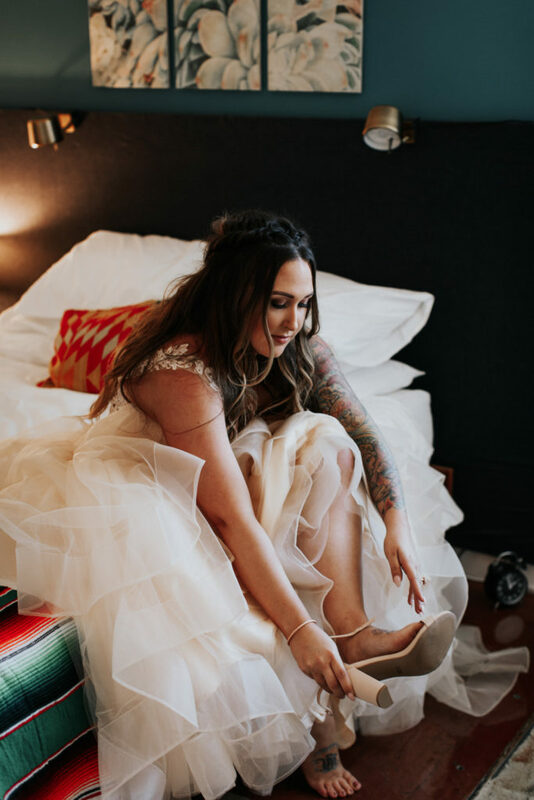 Caitlin nailed the romantic, boho, glam vibe she was going for, which perfectly matched the desert. 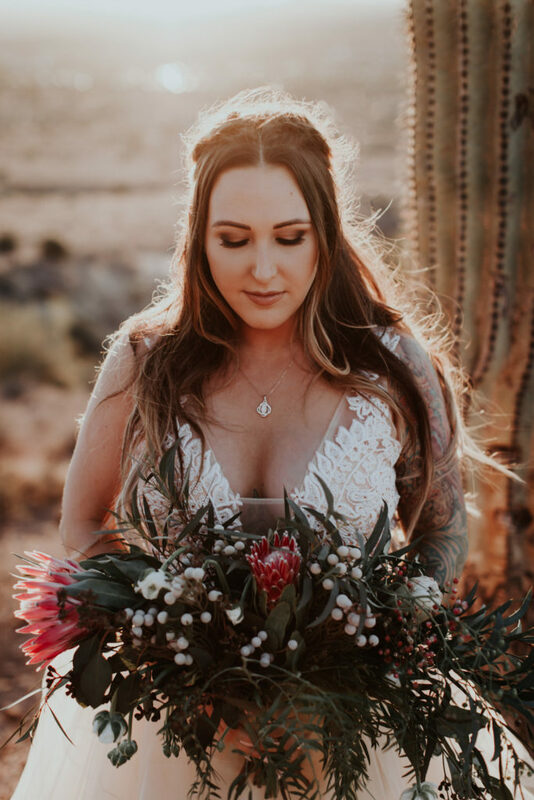 She constructed a beautiful bouquet after we spent some time at a local flower market (Phoenix is AMAZING) picking out the coolest flowers. 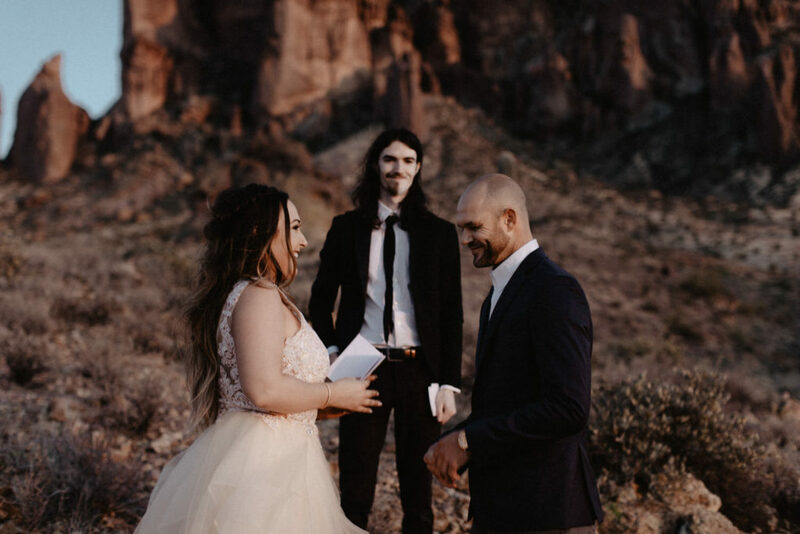 Since I’ve gone to so many weddings (and even had my own! 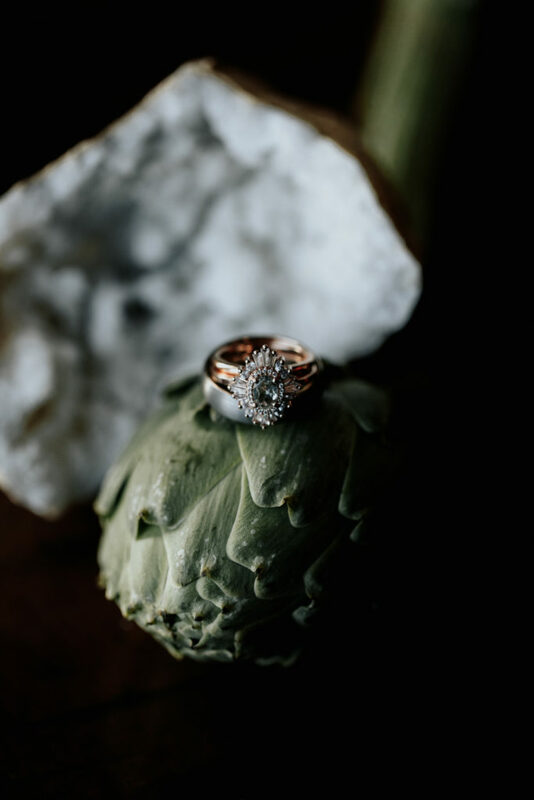 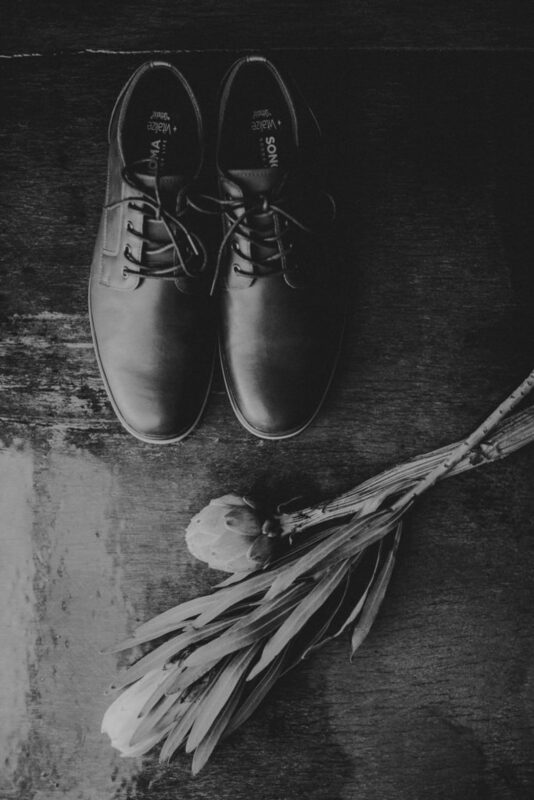 ), I’ve really grown to have a floral obsession, and I really love having input on these kinds of details! 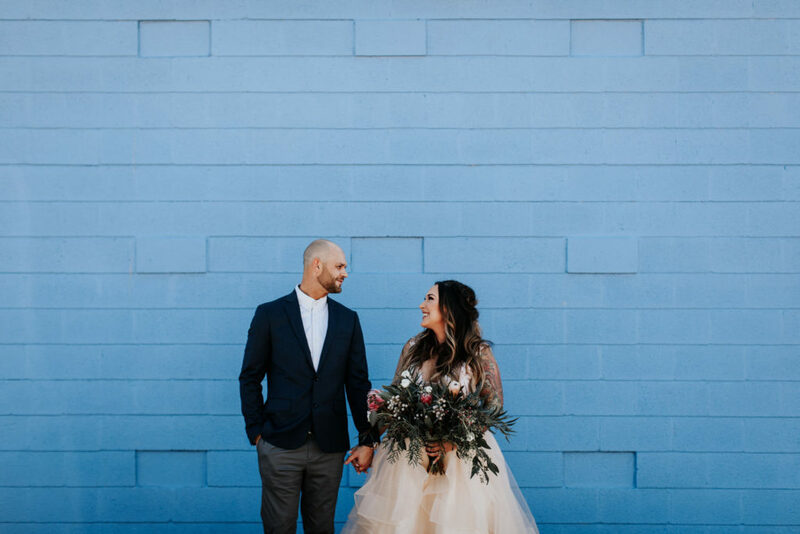 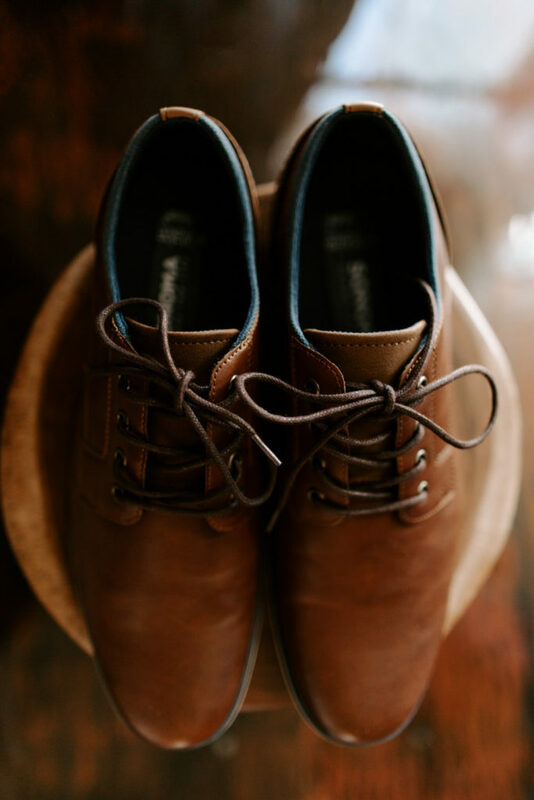 On the day of the elopement, we started out in downtown Phoenix at Caitlin and Matt’s awesome storage container-turned-AirBnB with gigantic floor to ceiling windows and vintage flooring. 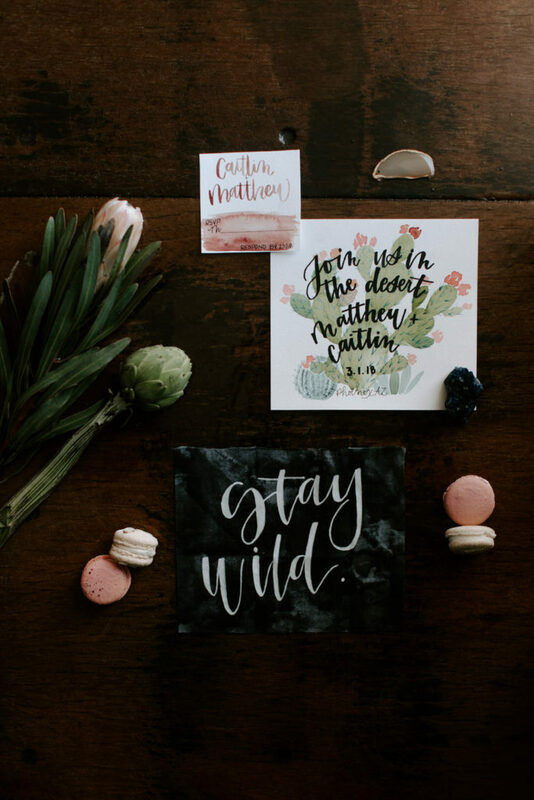 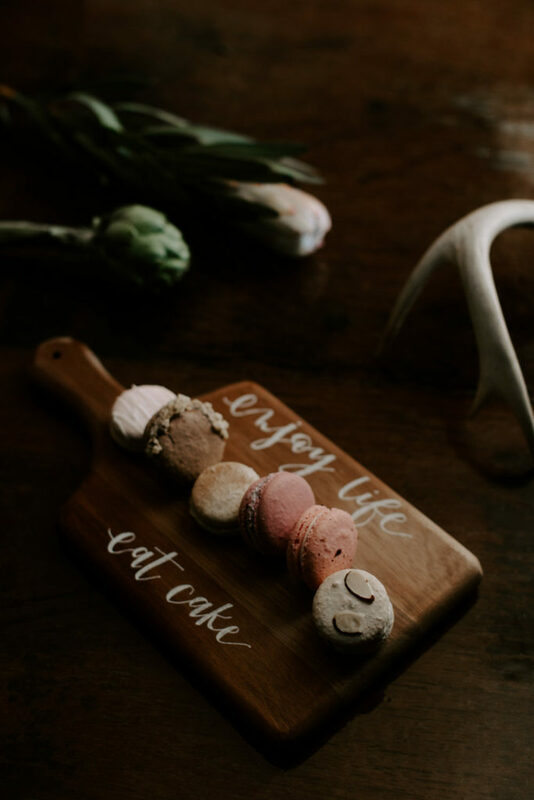 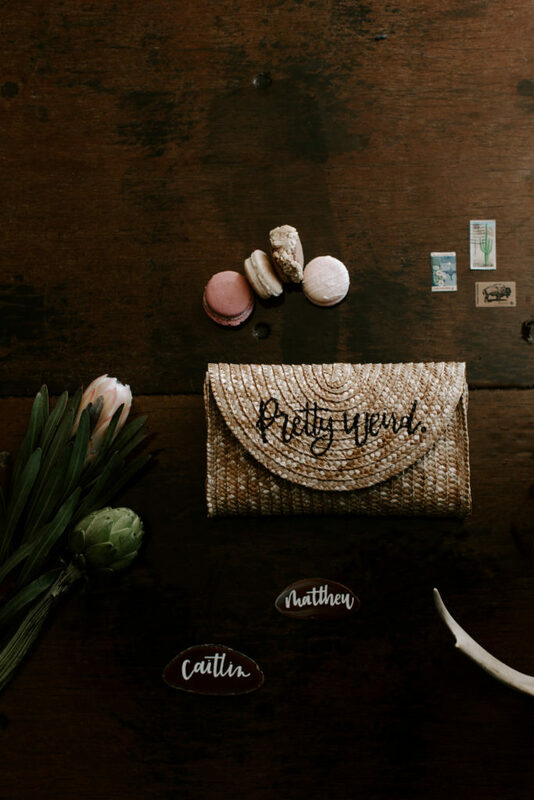 It was a sprawling space, which was perfect, especially since I had so many amazing detail pieces to photograph by my very dear friend Coffee and Calligraphy that she beautifully made for the big day! 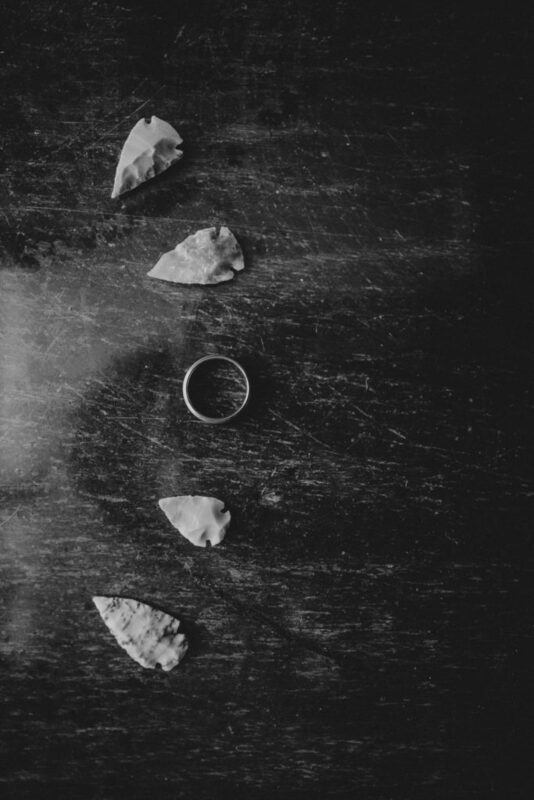 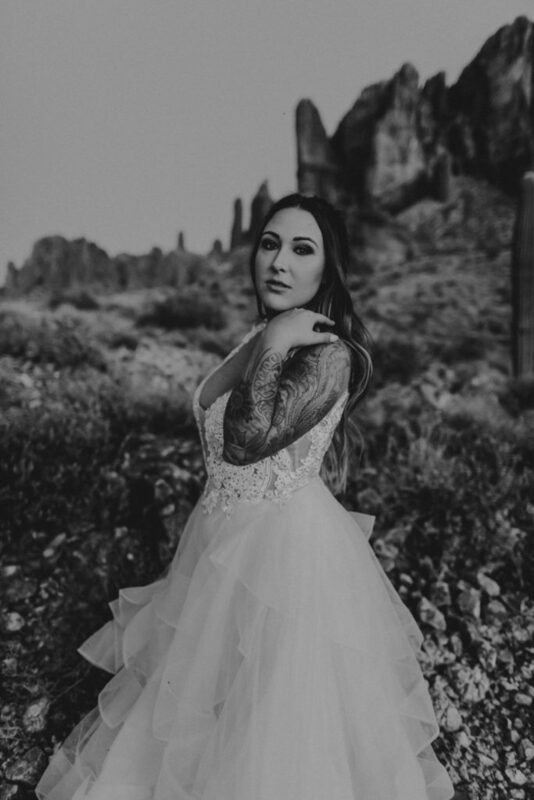 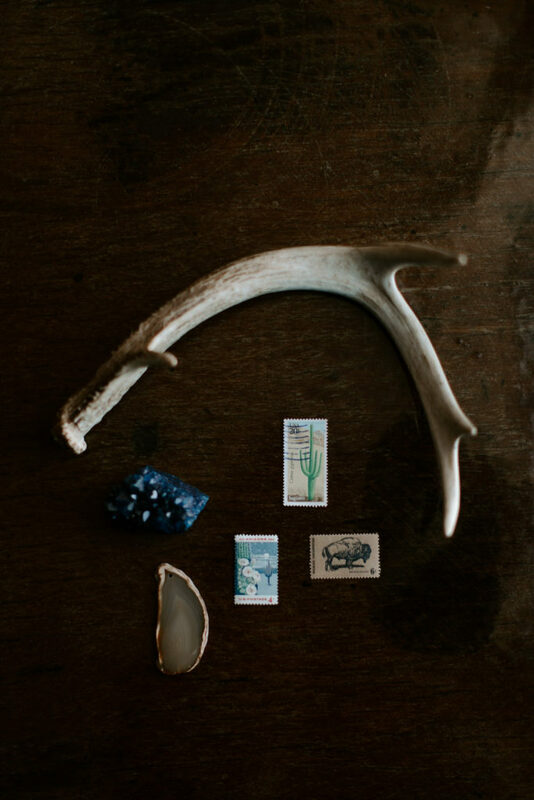 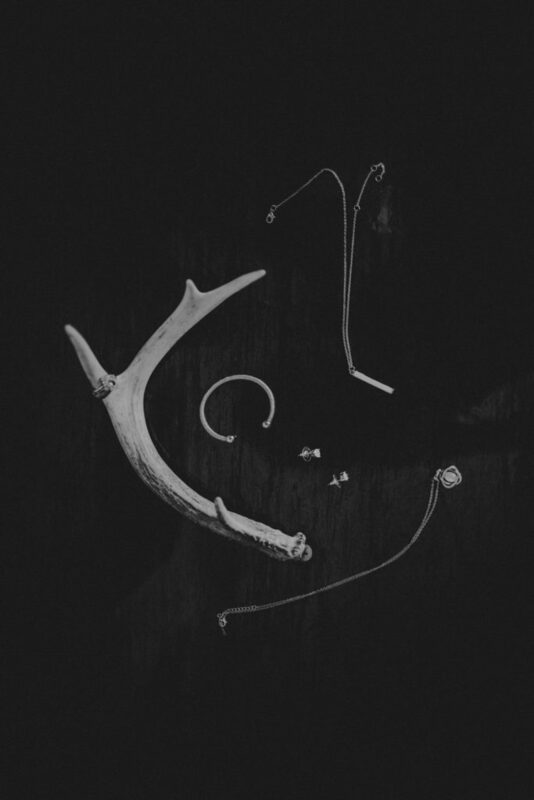 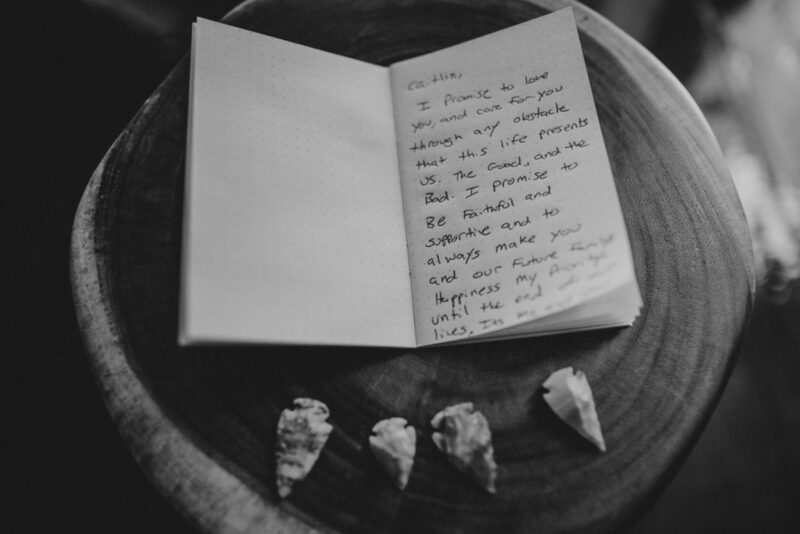 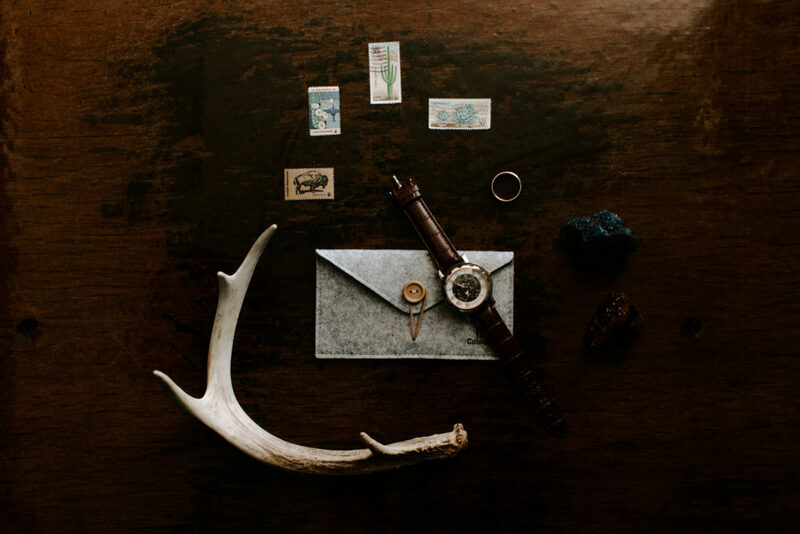 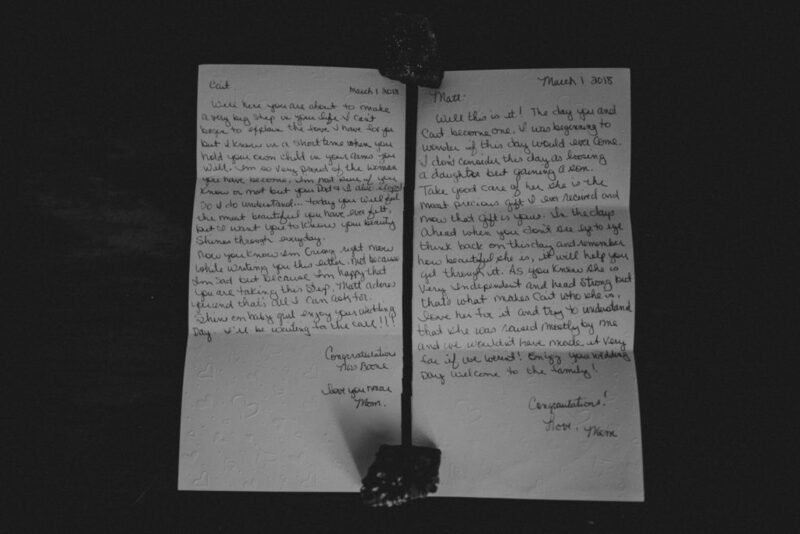 Like I said, I’ve always wanted to photograph an elopement in the desert, so I brought a lot some of my own things: vintage Arizona stamps from the 60’s, as well as my favorite antler! 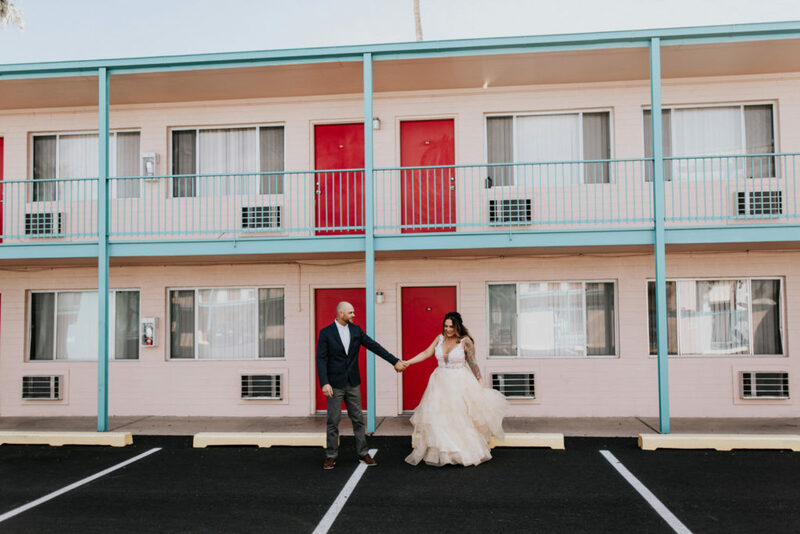 We then headed to a few locations I had scouted the previous day including an absolutely inspiring vintage hotel. 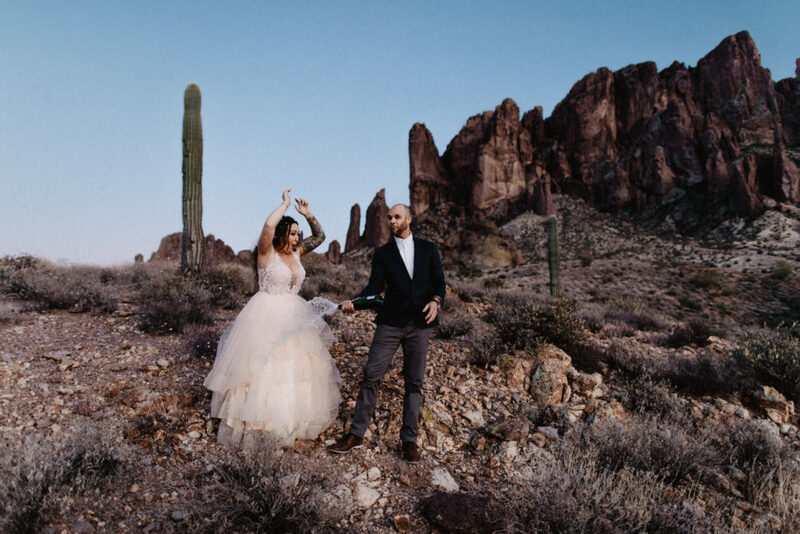 I felt like it captured the sunny city feel of Phoenix that I fell absolutely in love with, plus it reminded me of the west coast sixties (my favorite). 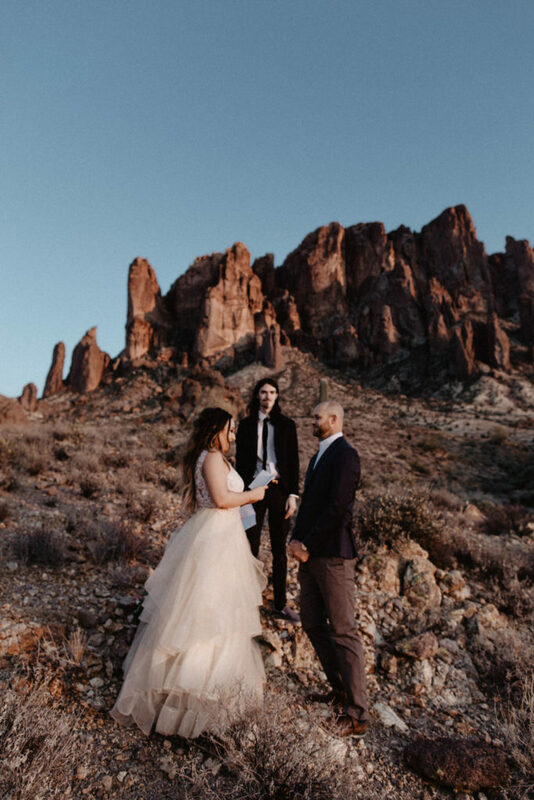 We ended the day with a hike to the base of the Superstition Mountains for an intimate ceremony officiated by my husband, Ben! 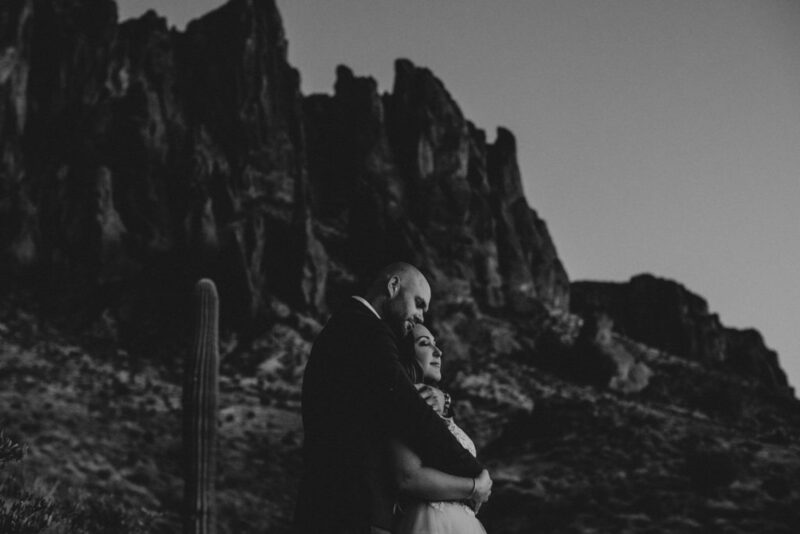 One of the most important things for me at this session was to capture the evening desert light just beyond sunset. 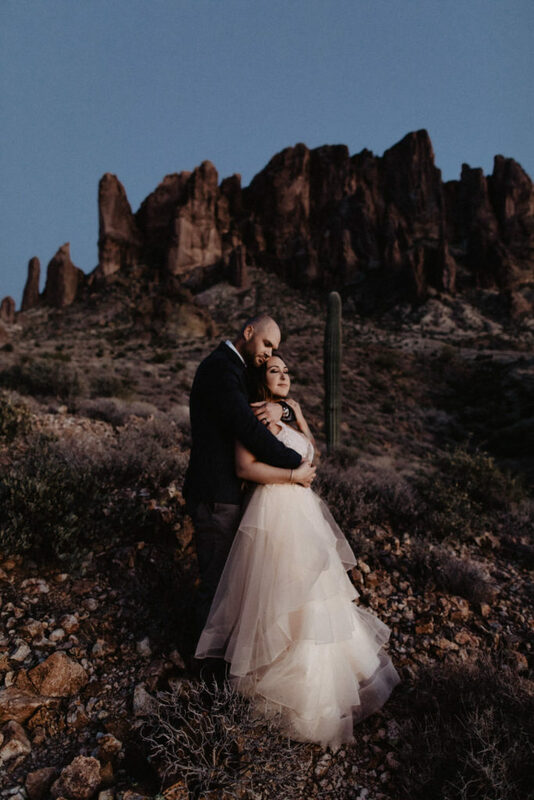 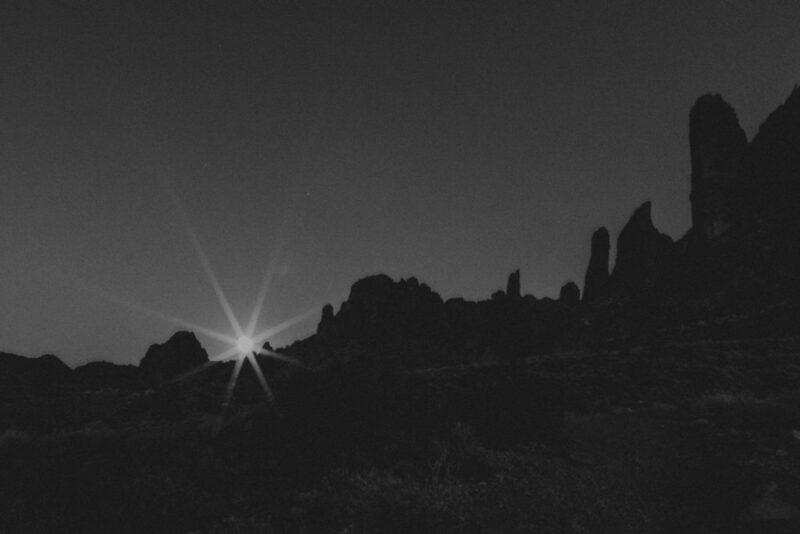 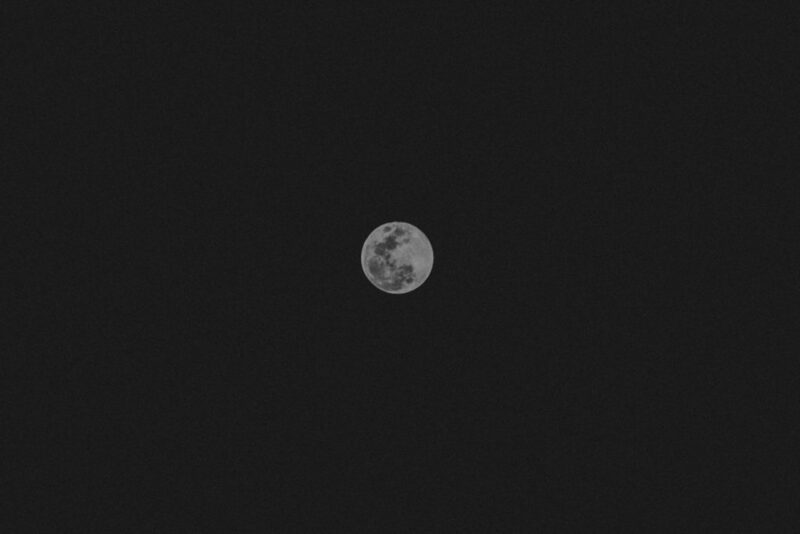 This time of day in Arizona is surreal and breathtakingly romantic – it takes my breath even just thinking about it now. 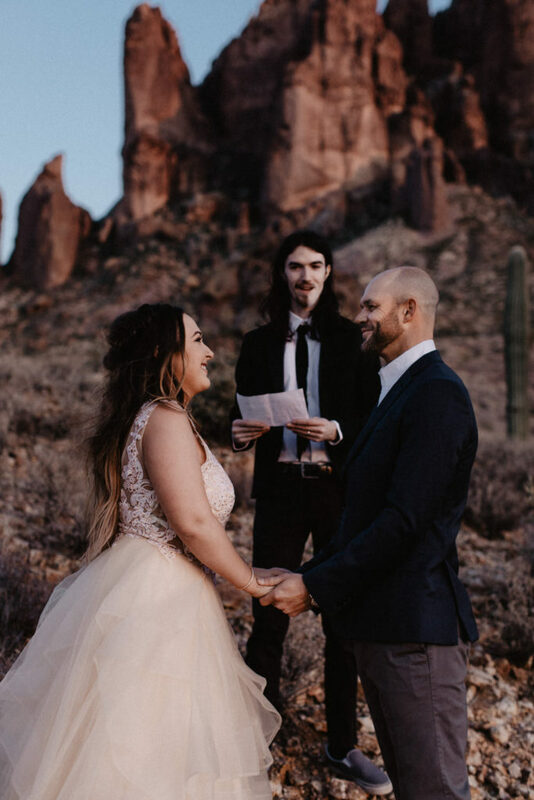 I’m so glad we were able to incorporate that into the ceremony! 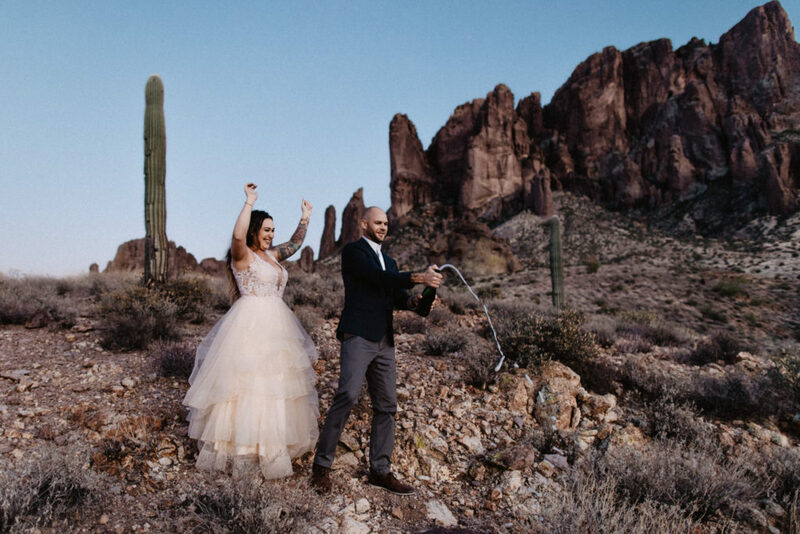 As you can probably tell, Ben and I had an amazing time in Arizona and we can’t wait to head out west again! 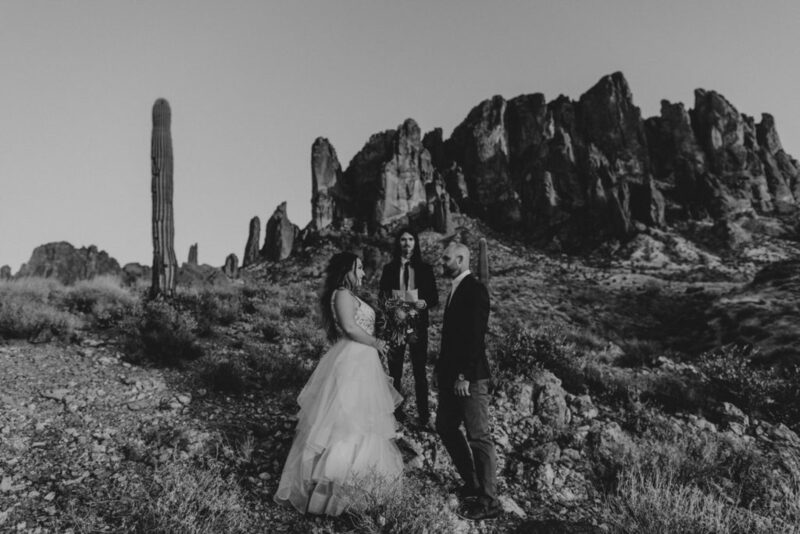 Who wants to elope out west?!?!? 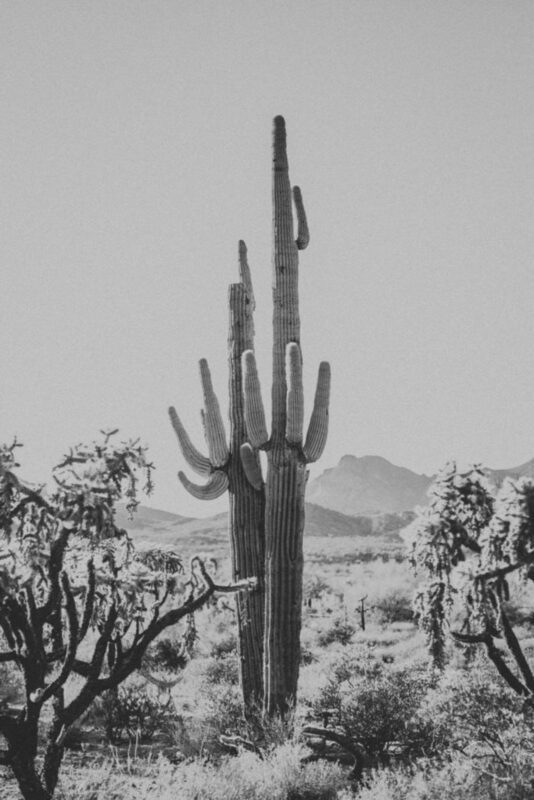 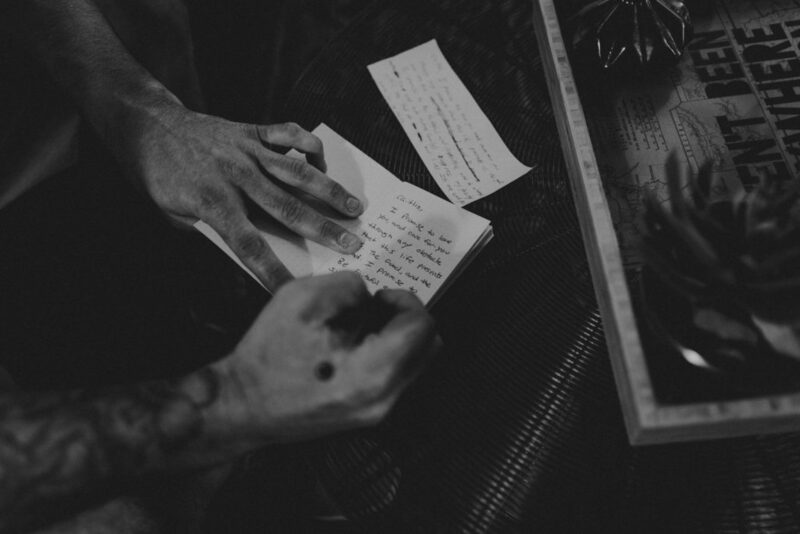 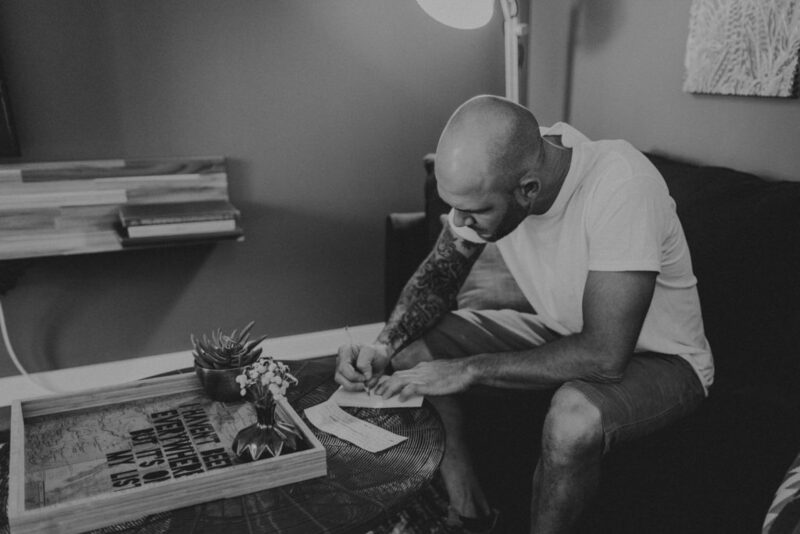 PS Keep your eyes out for our personal Arizona blog that comes out on Monday!